Will Amazon Reinstate California Affiliates? On Thursday, Amazon was given a one year reprieve from collecting sales tax by the state of California. During this year, Amazon will likely lobby California legislators in an attempt to make them, and other internet-based vendors, exempt from the duty of collecting sales tax. Historically, only in-state sellers have been responsible for collecting and submitting sales tax. If a California resident drives to Oregon and buys a big screen TV, the Best Buy in Oregon does not collect California sales tax on the TV (and since Oregon has no sales tax, this means that no state received sales tax revenue from the sale). Of course, residents of states that have a sales tax are required by law to file a use tax form on which they list out of state purchases and pay taxes on those items. However, this is widely ignored, and a large chunk of the population is completely unaware of this requirement. You would think states would make an effort to education people, but I haven’t seen evidence of this occurring. The core question, really, is whether Amazon is like the Oregon Best Buy (which is not required to collect California sales tax) or like a California Best Buy (which is required to collect California sales tax). The California brick and mortar stores say that Amazon should be treated the same as they are – but Amazon could just as easily say that they (as an out of state internet retailer) should be treated the same as an out of state brick and mortar retailer. In recent years, a number of states have passed – or strengthened – legislation defining the meaning of a business nexus. In California, affiliate programs such as the Amazon Associates program are deemed to be a business nexus, which would trigger the requirement to collect sales tax. Personally, I think this constitutes a pretty weak business nexus, as the associates are clearly independent contractors rather than people who are captive to Amazon.com. When California’s new law went into effect on July 1, Amazon immediately terminated agreements with thousands of Amazon Associates. No Amazon Associates meant no business nexus in California. Now that Amazon has a one year reprieve, will they immediately reinstate their affiliates? There has been no word yet. Here are some reasons why they might not. If Amazon wants to continue to lobby for an exemption to collecting sales tax, they will want to minimize the perceived important of the Associates program. 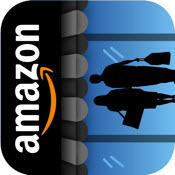 Rushing to reinstate the Associates will make it appear as if the Associates are a critical aspect of Amazon’s business – a bona fide nexus. Thus, they may choose to exhaust their lobbying efforts before reinstating affiliates. Amazon has retained mathe heavy hitters. There were some people making thousands of dollars per month from the Amazon Associates program. Many of these people set up shop in a neighboring state when Calfornia’s law went into effect (which had the effect of taking income tax money away from the state of California). While many people switched to a different affiliates program when Amazon drop the Associates program, many simply left the old links in place. In some cases, links were sprinkled across hundreds or thousands of pages on a web site, and there was the perception that it would take too much effort to make a change. These links are golden to Amazon – they are still directing traffic to Amazon, but Amazon isn’t paying a commission on the links. If you’re in California or one of the other states in which Amazon has dropped the Associates program (Arkansas, Colorado, Illinois, North Carolina, Rhode Island, Connecticut), there are some options available to you. Some are complex (setting up a corporation in another state) while others are not. Is Madden 12 The Best Football Game Ever? Where Were You On September 11, 2001? I’m hoping they change the ruling, because I have 500+ reviews on my horror movie site with links to amazon that are now useless. I haven’t amended them because it’s too hard to go in one by one and edit links.